I thought we would take a break from cakey sorts (fear not, there will be PLENTY more, so much you will almost get sick of it) and I would share a different sort of baking recipe. 'Tis nearly the season for soup and I was recently inspired to have a go at a (partly) baked version. I think it counts as baking enough to be included here! 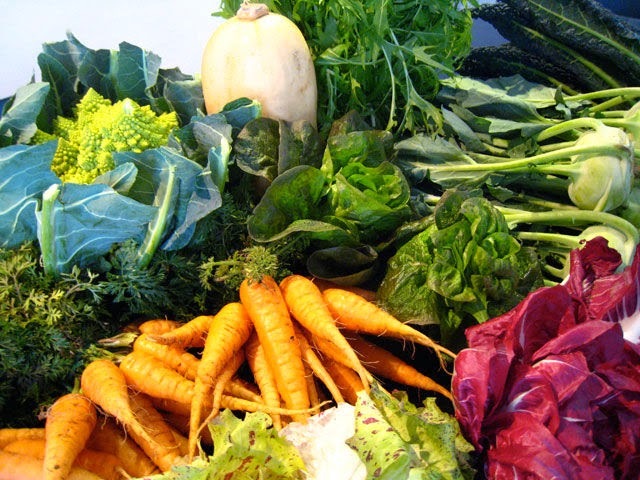 To me, a farmers market is a melting pot of inspiration. 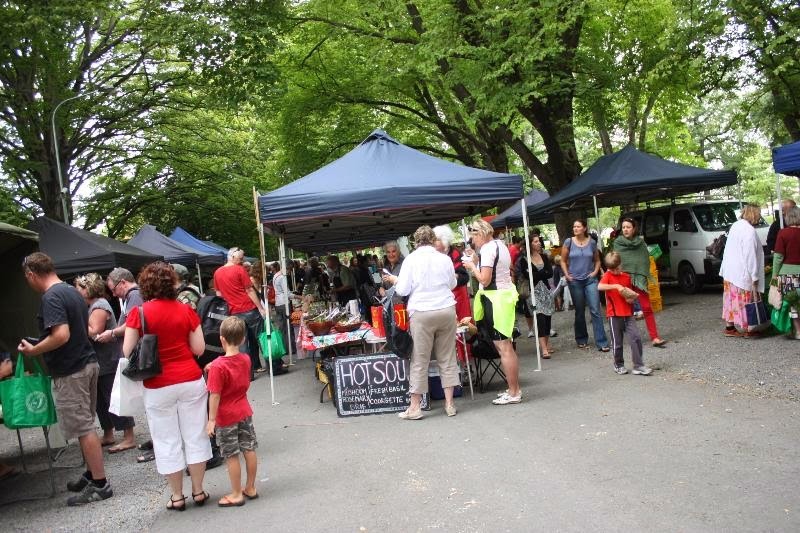 At the Riccarton/Deans Bush market in Christchurch every Saturday you can buy fresh produce, eggs, meat, condiments and snacks. So this Saturday gone - a mock-summer morning - that's just where we went. In somewhat hipster fashion, we got on our bikes and braved the busy Saturday morning traffic to reach said market. Two very similar images to the sights that beheld us - thought I'd spare you the blurry phone photos! We were well-rewarded for our efforts. Among other things, we got our paws on coffee (for Nathan), delicious Middle-Eastern pastries (for me), pepperoni salami (for Nathan), the cheapest bulb of fennel I have ever seen (for me and Nathan, too, little did he know it! ), and... a foam cupful of courgette and basil soup. Smooth, creamy and with just enough sharpness from the basil to stop you slipping into a winter's dream. I had to know what was in it - the woman flitting between the soup stall and half a dozen other stands, with wispy grey hair and wearing hemp-based everything, was quick to inform: fry up an onion and garlic, add a couple of red kumara with your courgettes, and put the chopped up basil in at the very end. 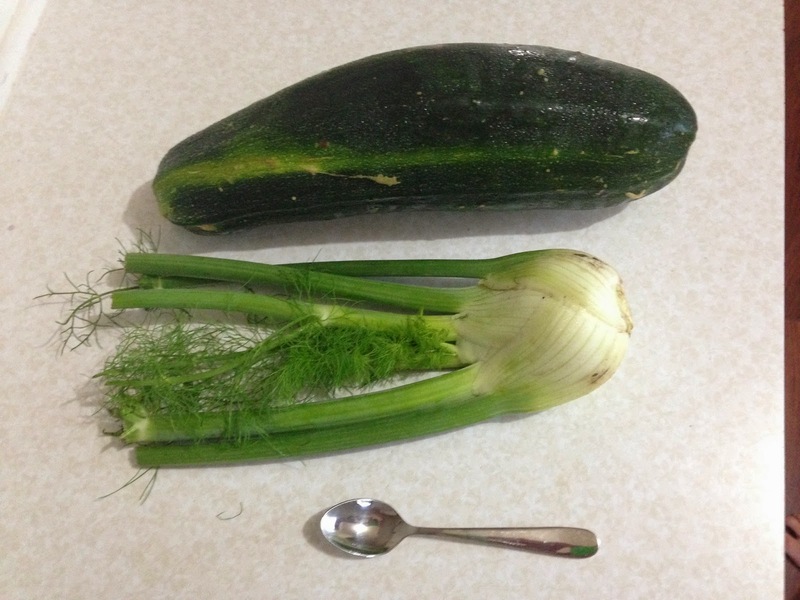 Great, I thought, and headed to the nearest produce stall to pick out the biggest courgette of my life with plans for it to be part of my replica of a soupful masterpiece. Back home with the biggest courgette of my life and some lovely fresh fennel. 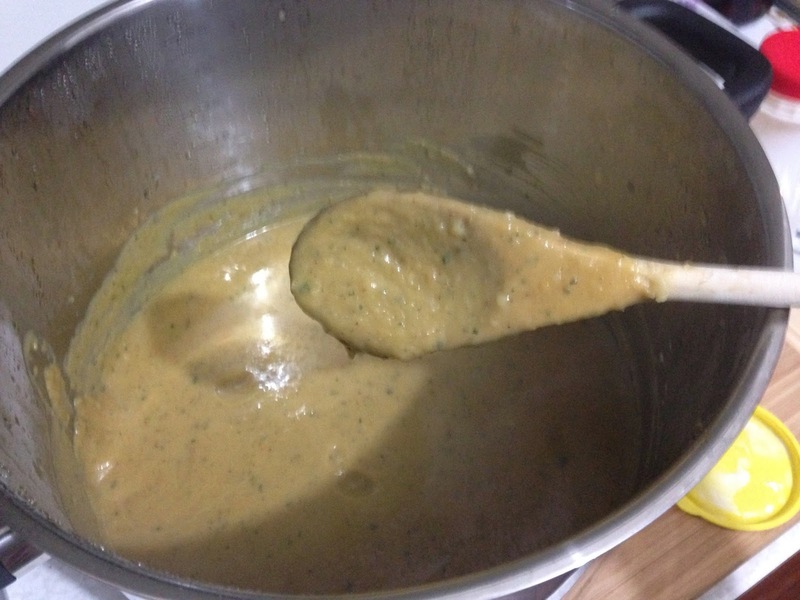 Nathan was onto it almost before I had formulated the rest of the recipe in my head: "This is going to turn into a blog post about 'Claire's famous courgette and basil soup', isn't it?" I was (and still am) indignant - I am certainly not above crediting my sources. So, wispy-haired, hemp-wearing woman from the Farmer's Market, this one's yours... with slight appropriations for my own purposes! My first point-of-difference is that my basil plant is not doing as well as my Vietnamese mint plant, so I have the nice, peppery taste of those leaves as my main flavour. 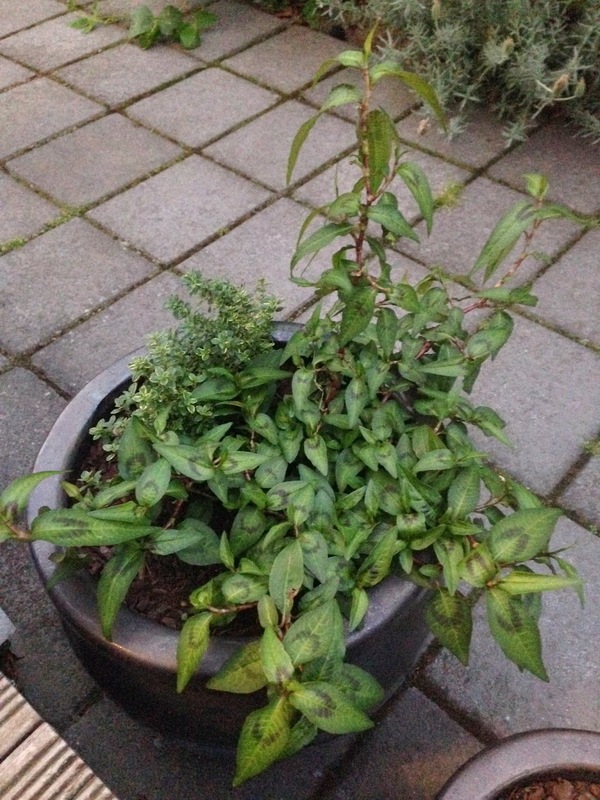 My prolific Vietnamese mint, dwarfing the lemon thyme it shares a pot with. Next, in the spirit of 'half-baking' I chose to roast the veges. 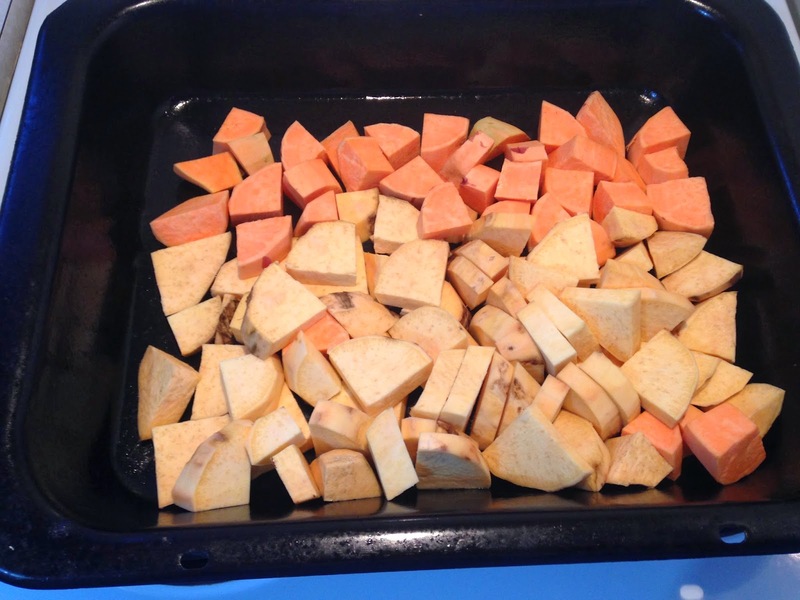 Chunks of gold and orange kumara (sweet potato) went into the oven for a good half hour at 180°C. We were doing well. Then I had the brain-wave to roast the forearm-sized courgette (zucchini). I didn't think it was an entirely bonkers idea: a work colleague had raved about how courgettes can be turned into amazing pasta sauce if they're cut up finely and roasted until they're just mush. What I hadn't factored into my recipe-equation was just how much courgette you need to have for enough 'mush' for a soup like this. 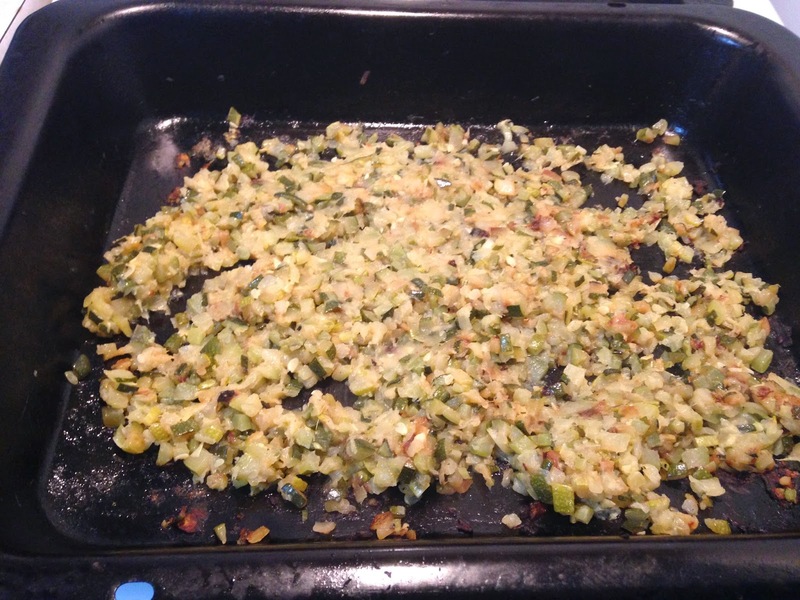 After spending a good half hour dicing the thing then more than an hour with the trays in the oven, rotating every 15 mins, I ended up with a fraction of the amount of courgette that I started with. So perhaps next time I'll grate it. 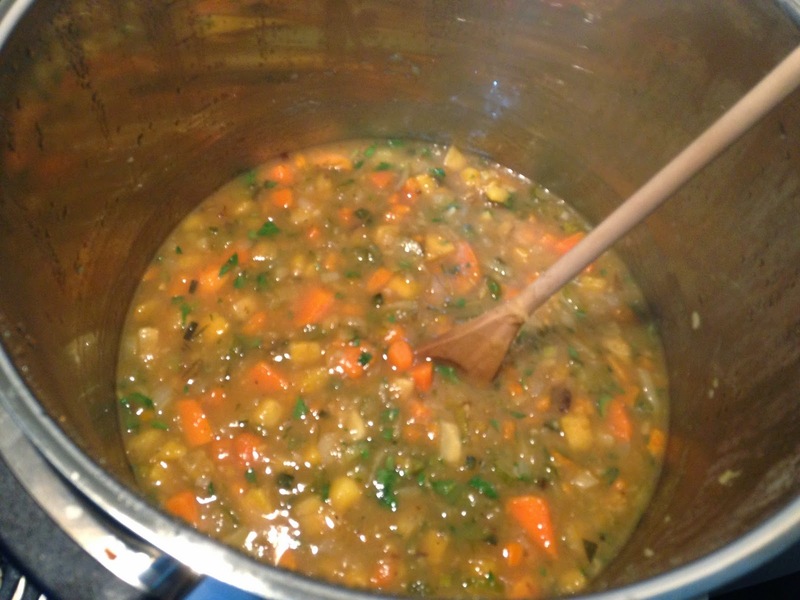 I'd also reduce the amount of kumara that I used so that the courgette flavour gets more of a look in. In the spirit of crediting my sources fully (not like I'm trying to prove a point or anything...), I used recipes from The Food Network and Operation: Get Fit Again! to get a feel for the amounts of stock and veg. 1/2 cup coconut cream or fresh pouring cream 2 large handfuls of your favourite fresh herbs, roughly chopped (I used Vietnamese mint because it's going crazy in its pot, but basil, thyme, mint, coriander are all good options). Chop up the sweet potato into cubes approximately 3cm in size, spread on a lightly oiled roasting dish and bake at 180 degrees Celsius for approximately 30mins. Once cooked, cool in a different continue (to cool faster!) then chop up into small pieces, approximately 2cm diameter. If you prefer to boil them, remember to add the extra time for that to happen (and it's ALWAYS longer than you think once the other ingredients are in, too) to the total simmering time later. 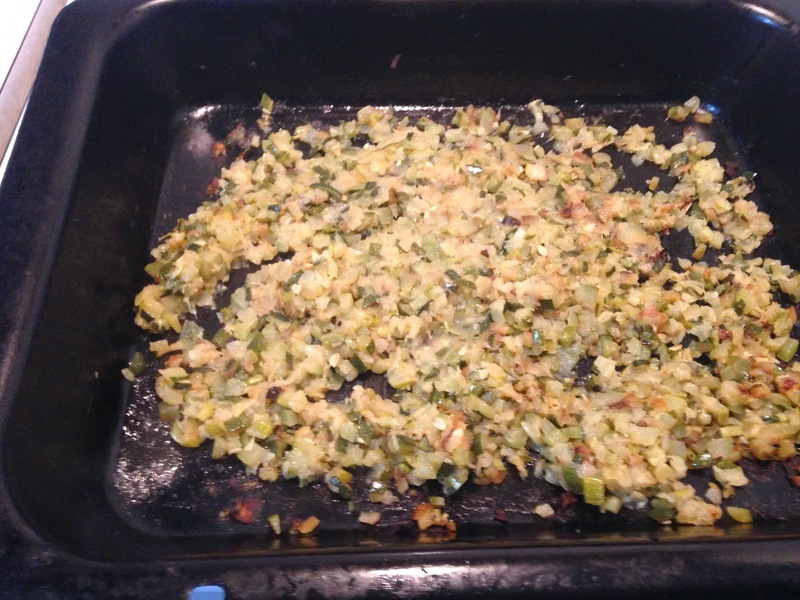 Spread the diced courgette on an oven tray and bake for an hour at 180 deg C, or until it smells really good! Alternatively, grate it and set aside. 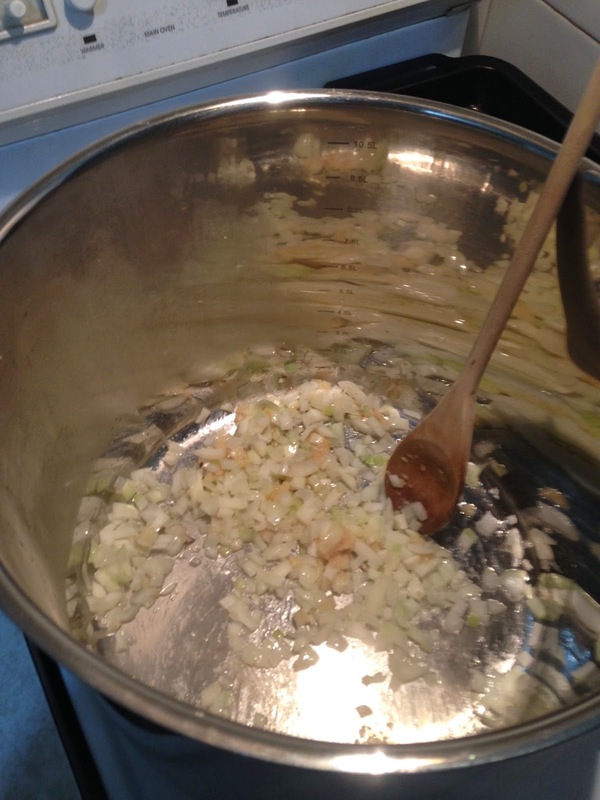 Dice the onion and fry in a little oil (1-2 tbsp) in the bottom of a large heavy-bottomed soup or stock pot. 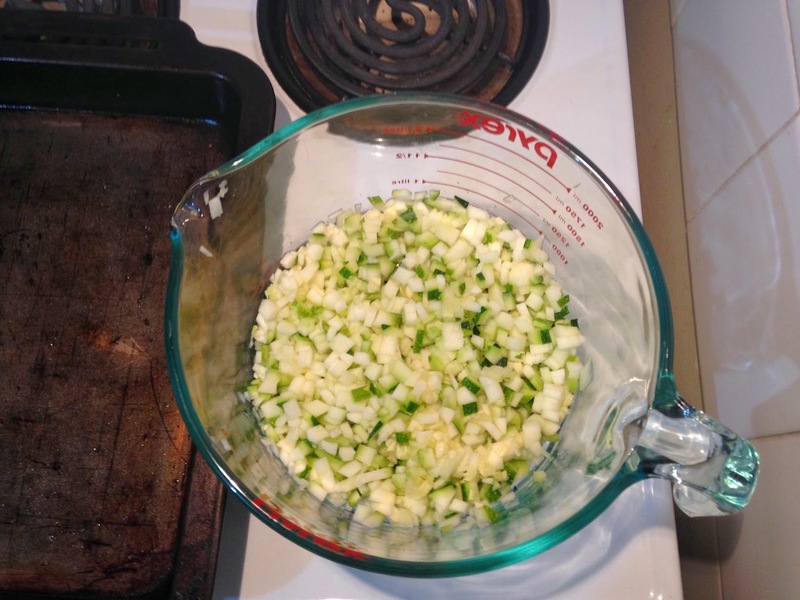 Add the garlic and continue to fry until the onion is translucent. 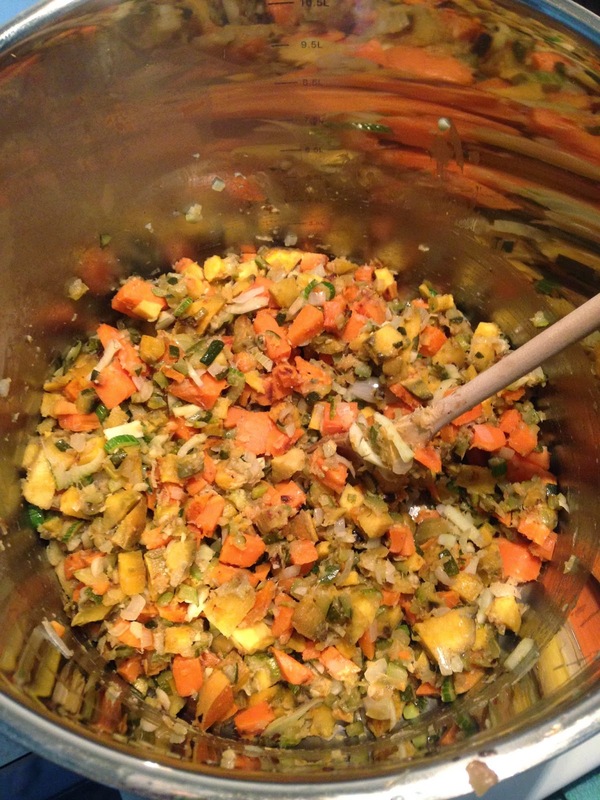 Add the sweet potato, courgette, fennel, curry paste and 1.5L of the stock to the onion and garlic. Cover and simmer for approximately half an hour. Remove from heat and add fresh herbs. Set on a heat-proof board and using either a potato masher or whizz-stick if you have one, blend until no clumps of vegetable remain. I don't recommend pouring this mixture into a blender because it's usually so hot that it's not safe for YOU! You may want to add the rest of your stock to get a smoother, thinner texture but it's up to you whether you want more of a thick chowder or not. Also add the coconut cream at this stage and stir well. Serve immediately or freeze in small containers. Stores in fridge for up to five days. 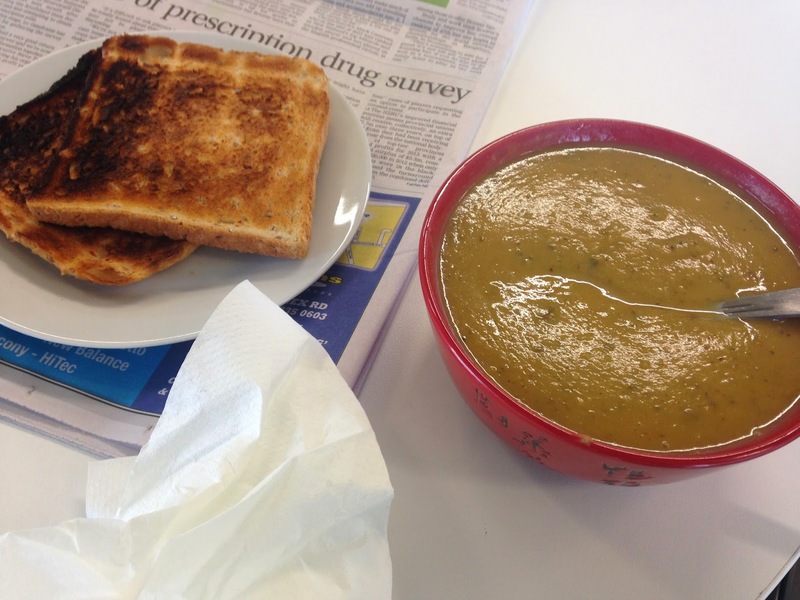 Perfect pick-me-up at work...minus the burnt toast!! This post made me miss Claire very much! as for soup, sounds delicious. What was the major flavour? The coconut cream was not too overwhelming? (I love coconut, but I seem to add it carelessly and it dominates everything else). How creative! 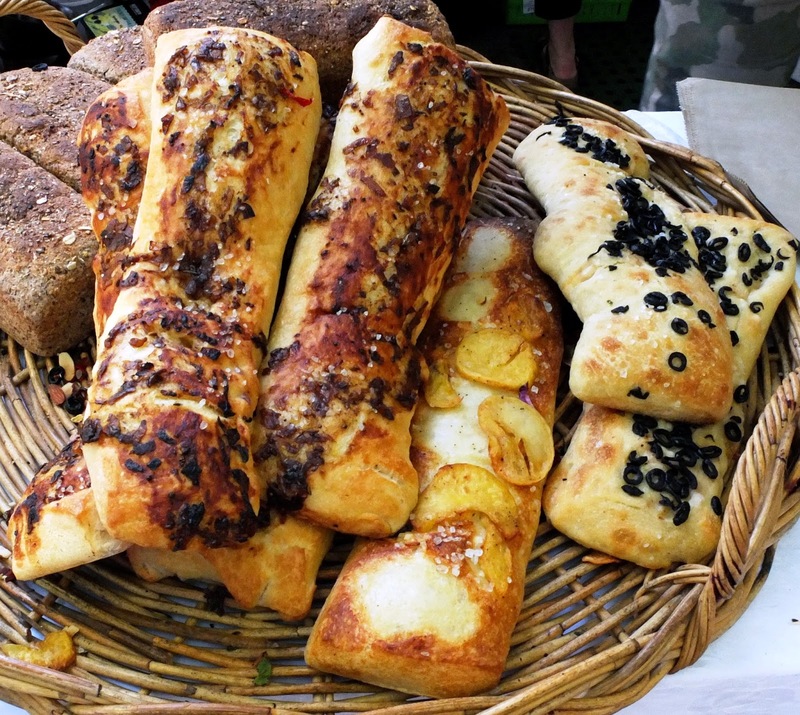 We go every Saturday morning to the Farmers' Market here in Timaru. It's so much fun! Last week we picked up giant carrots for 50c kg. We got 3kg. I hear you can make carrot soup, though I'm not sure how much fun that would be to eat. Btw, I keep looking at your rhubarb cake - *sighs* it looks so delightful. I do have rhubarb waiting to be used, but I have pledged a war against eating sweet cakey & biscuity things at the moment (okay, apart from the odd, well-regulated piece). And the hubby sure doesn't need them either. But it's great fun reading your foody adventures, just the same! It's more fruit than pudding and you can add as much rhubarb as you like! I do recommend coating freshly cut rhubarb with castor sugar and leaving in the fridge 30 mins before you want to cook it - neutralises the bitterness a bit! 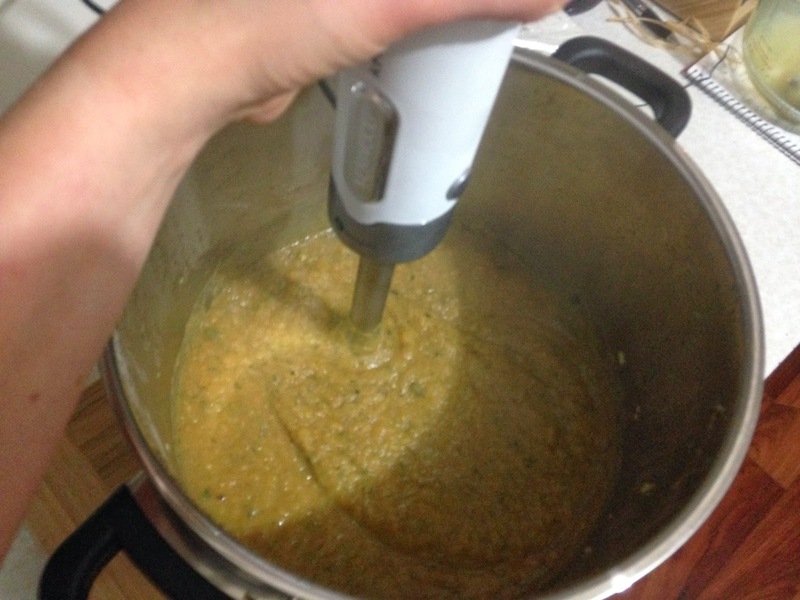 The carrot soup you posted sounds fascinating, though I don't know that I'd get away with cooking it in our house. Hubby decries anything Thai, subsequent to some unfortunate experiences dining out. I've gone back on to gluten! Since getting married I've had almost zero incidences of irritable bowel/stomach aches due to food. I still have no idea what had caused all the trouble all those years, but seems like being married has fixed it! We have a few cucumber plants growing at the moment, that have just ceased a wild and long bout of productivity - they produced so so many cucumbers, and I had to find a use for them all. I made pickles! They're really easy, and so good to have for sandwiches. Alison Holst's bread & butter pickle recipe is fantastic. Also I've been making tomato relish, piccalilli & various kinds of jam. I feel like I'm nesting for winter! I'd never been interested in preserving before, but now I'm really enthused about it. In terms of jam, it's hard to find fruit cheap enough to make jam from these days. What I did was to ask the fruit growers at the market if they had seconds. One lady gave me a tray of fairly suspect looking raspberries, and they made a beautiful jam - it doesn't matter what the fruit looks like, or if you have to chuck some away - the jam comes out perfect. It's fun following your blog!